The nytimes.com recently reported a story titled “Arguing, Learning, Waiting” by Gordon Matthews. The story was about Gordon Mathews, a professor of anthropology at the Chinese University of Hong Kong, who has been teaching English to African and Pakistani men, generally in their 20s and 30s, who came to Hong Kong seeking asylum. Mr Matthews’ English teaching methods are perhaps a little unconventional as he prefers not to focus too much on English grammar rules but instead starts each lesson by asking controversial questions about social and global topics. His questions always initiate hot debate amongst his Muslim and Christian students, who are all well educated, well-informed and enjoy voicing their opinions about world affairs. The asylum-seeking process is by no means an easy one and these young men certainly do have a tough life whilst in Hong Kong. The government does not allow economic refugees to work legally and it takes many years for their cases to be decided. These men are forced to stay in cheap, grotty accommodation and get by on whatever illegal, unskilled work they can find. In the end, very few get refugee status and most are rejected and sent back to their home countries. Mr Matthews controversially says that the best bet for most of his students is to try and find a Hong Kong girl willing to marry them; this would enable them to reside in Hong Kong legally. the study of humankind (in particular). possibly causing discussion, heated debate or opposing opinions. cause (a process or action) to begin. a passionate and enthusiastic discussion or argument. to share your views or beliefs about a particular subject or thing. the thing someone should do which is most likely to achieve the result they want. 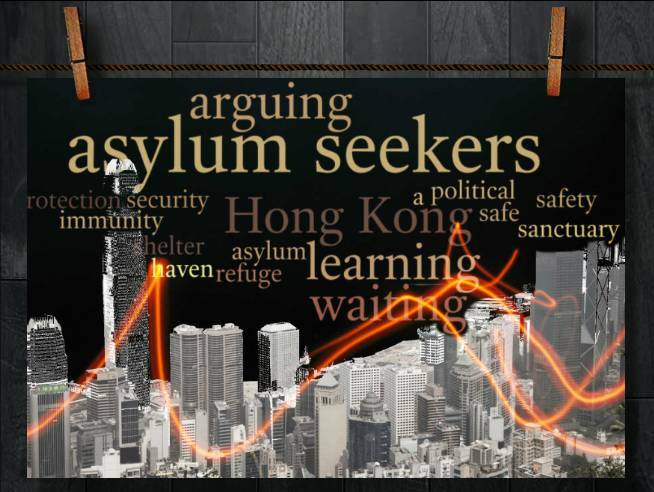 Could the Hong Kong Government do more to make asylum seekers’ stay in Hong Kong more comfortable? Is Gordon Matthews right to advise his students to find a Hong Gong girl to marry them so that they can stay in Hong Kong legally?